The first day of any new job can be intimidating, scary, exciting and nerve racking all rolled into one, but when you are starting off completely fresh you can add daunting into the mix. Many questions go through an intern’s mind – what to expect in terms of responsibilities, who every-one is and what they are like, will you fit in, can you apply the knowledge you have gained so far? and so on. As all of these questions and about a hundred more were floating through my mind, I was collected from reception by Katie, the recruitment manager for CPM. The first thing that happened caught me completely off guard. 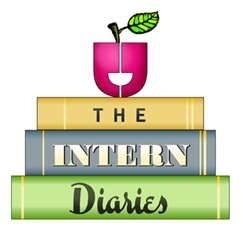 There was no talk of what was expected of me, no defining of roles, no endless files to scan or photocopy (a nightmare I had been led to believe was the quintessential task of the intern). No, there was none of this – instead Katie took me through the practical things I would need to know for the next 3 months. Things such as where the toilets were, how to work the coffee machine, the functions of the different meeting rooms in the otherwise open plan office – things that are so often overlooked at the induction stage. Then it was on to my first team meeting with the HR & Recruitment functions. I am introduced to Aoife, The HR Director and the teams and given their individual responsibilities. Katie ask every-one to update me on the previous week and give a run-down of what is to happen this week. It is a comprehensive meeting covering everything from roles being advertised and recruited for on the recruitment side to grievances and probationary hearings on the HR side. Aoife finishes off with a small but, I thought effective, motivational pep talk and we break up. Katie brings me around the office and introduces me to the several departments working in the office – and no-one is off limits. Every-one from Gillian Farrell, the Marketing Manager to Maria Conway, the Financial Director all stop what they are doing and say hello. This at once makes me feel more comfortable and puts me at ease. So with introductions done, I sit down at my allocated desk and am taken through the computer system and processes. I am happily surprised by the fact that my email has been set up, my desk pre-assigned and I have the computer access I need to do my job. The team have prepared for my arrival and for this I feel grateful. There is nothing worse than trying to get something done when you haven’t got the first idea of how to set about getting it done. During my day, on a trip to the kitchen for a much needed coffee, I make a mental note of the kitchen set-up. The facilities are shared by CPM and their sister company Cawley-Nea & TWA. The two companies share office space and a love of coffee and toast and so the kitchen area provides a great way to network with people from a business under the same umbrella company, Omnicom. After a busy first day as a CPM HR & Recruitment intern, I leave tired but extremely happy. I know I have made the right decision in pursuing this job and with the help and support of a very talented, knowledgeable and more importantly, accommodating team, I have complete faith that I will gain the exposure needed to excel in my chosen career. CPM is a fast paced company with a wide range of functions that definitely lives up to its vision of driving sales through insight and influence. The Senior Management Team are committed to achieving and maintaining organisational fitness through staff development and engagement and this mentality is cascaded down to the most junior levels. And for me, this is definitely the internship of internships. If you are thinking of pursuing a career think CPM. They offer internships across the business functions including HR, Marketing, Finance and Operations. They are a company that will not only give you the training and support but the responsibilities and autonomy needed to gain a proper understanding of the job and hardly any photocopying or scanning at all!!! !.